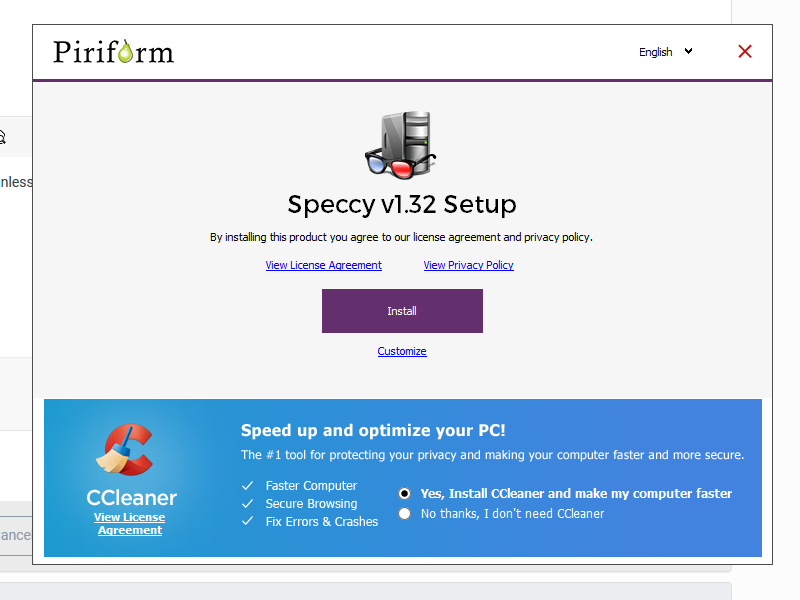 Today I installed Speccy on my computer and while it says it'll install CCleaner along it (unless unchecked), it instead installed Chrome (which isn't mentioned anywhere) and not CCleaner (which I had installed already anyways). It was the free version download from Filehippo. I'm running Windows 7 Professional 64-bit. A screen capture of the program & of Chrome as a newly installed program is included.